Down to the final few NYS Section conclaves left to post and my checklist of issues from 1973-2012 will be complete. Of course than the 2013 issues will need to be cataloged. 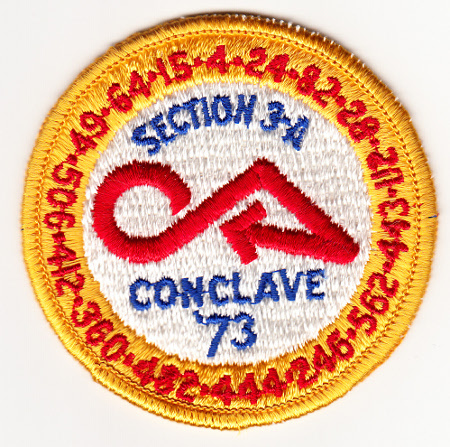 The 1973 Section NE-3A Conclave does not indicate a host lodge or location. Can anyone fill in that information? 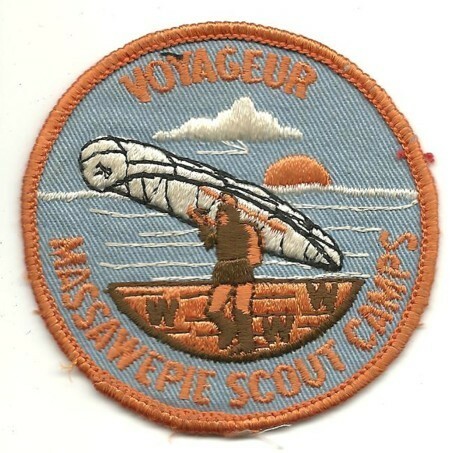 I am only aware of two issues for the event, a pocket patch. Were there any other issues for this event? 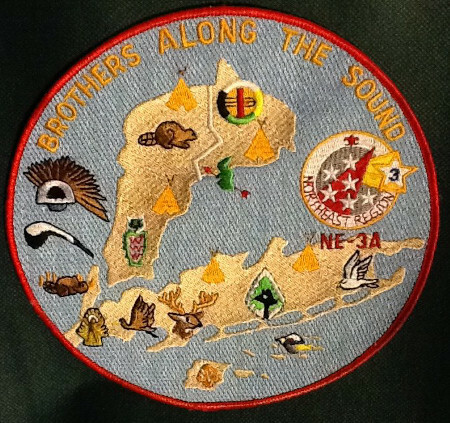 Bob Fenty sent an image of a jacket patch from Section NE-3A which was from the later 1980’s created shortly after the 1988 Northeast Region realignment 1988 Northeast Region. 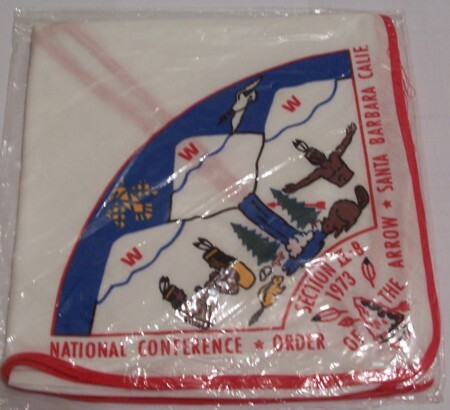 Can anyone better date the patch from the Northeast Region Logo in the design? I need one of these, anyone have one available for trade or sale? 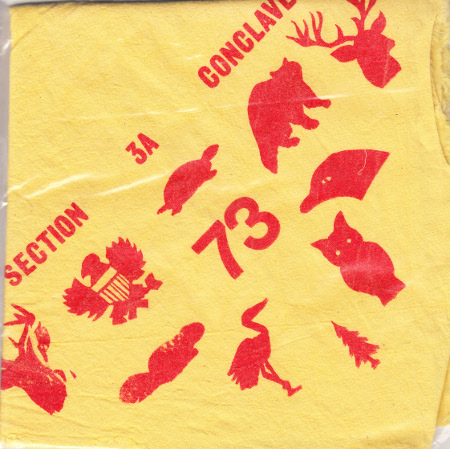 Following in its Area 2-G predecessor footsteps, Section NE-2B issued a contingent neckerchief for the 1973 NOAC which was held at Santa Barbara California.